The power of conversation and communication is something anyone can use to create change for good. So how do we use conversation to educate, empathise and ensure progress towards gender equality? We know the fight for gender equality can often seem overwhelming - with so many parts of the puzzle contributing to progress. This is your chance to spend an evening with a feminist icon and talk deeply with likeminded souls about what we can do in our own lives to create change even in the smallest of ways. We believe beautiful meals can be the birthplace for conversation, courage and connection. 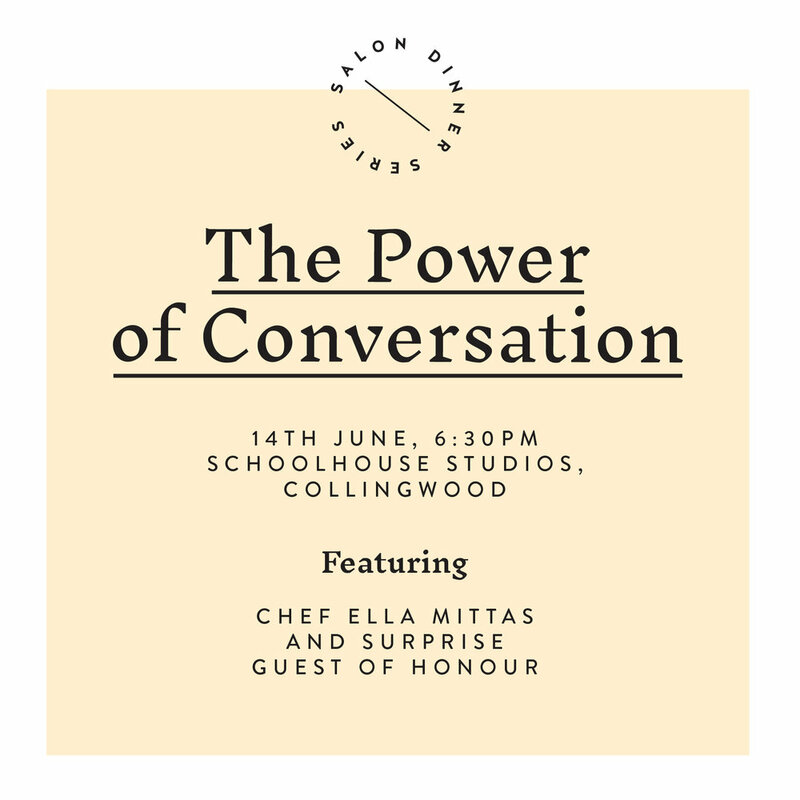 For our very first salon dinner, you'll be treated to an incredible three course spread, wine included, cooked by the talented chef Ella Mittas. Our feminist guest of honour will start the night with a talk to inspire discussion and you'll spend the evening fostering new connections with a new community, and walk away with ideas, tips and strategies to create change in your life. This event is all about bringing women together to learn, listen, talk and support one another in this fight for equality. You'll have a chance to ask all your questions, be a part of an amazing community and reflect on how you can make a difference - yes, you. This is an accessible event. Tickets are limited to just 30 seats. Don't miss out.